Swimming is considered a life skill by many, and it is easy to understand why. It is a sport that allows one to practice till old age even with wear and tear of the body. Most importantly, it is a life-saving instrument that can never be underestimated. How many times as parents have we wanted to allow our kids to have fun at the pool by themselves without our supervision? How many have you looked in envy as your friends casually dip into the pool with ease and comfort? Especially in a water-surrounded Singapore, where the mandatory Swimsafer Tests are implemented in local schools, and National service requiring soldiers to have basic swimming capabilities, swimming is a vital skill that everyone should be equipped with as early as possible. Look no further and allow us to design unique programs that allows one to efficiently pick up swimming while having fun! Our Learn To Swim programs will give you the personal attention you deserve. 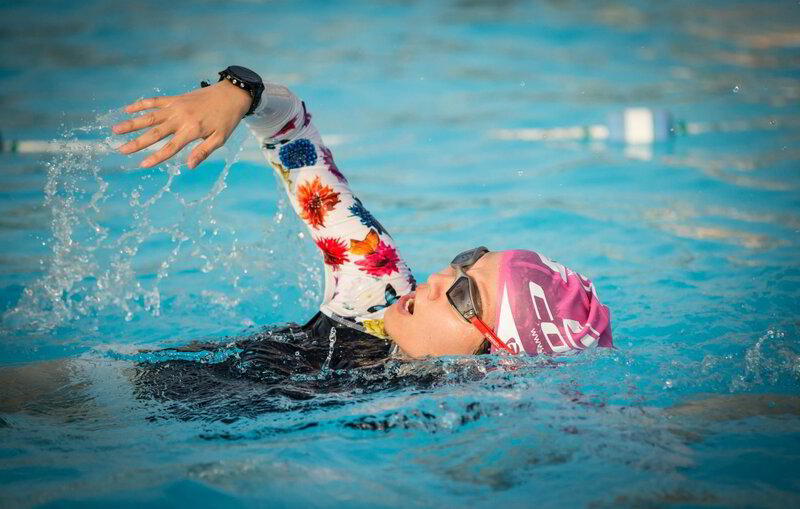 We offer various lessons for swimmers with different ability. It's never too young or too late to get in the water, feel confident, and have fun!